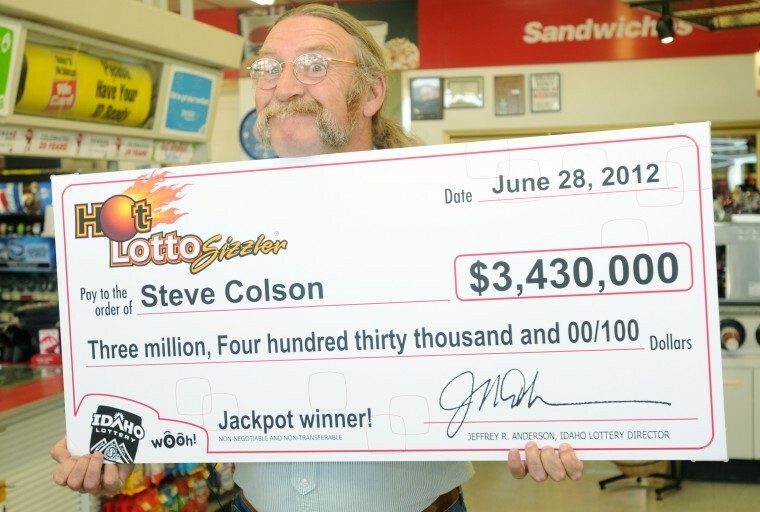 Hot lotto refers to a state game of chance that was administered by (MUSL) the Multi State Lottery Association which is an Iowa based association. It is reputable in its ways and manner of handling Powerball and Mega Millions games. This game came into commencement on 7th April 2002 and is now a respectable game in the long list of big jackpot American lotteries played each week in the USA and around the world online. The first drawings took place on the 10th of April same year. The introduction of Hot lotto was an open opportunity to produce what was known as ‘middle-sized’ jackpots. These are commonly placed among games in single states which obviously serves a more sizeable population. Examples are the California Supper and the Florida Lotto. Hot lotto draws were held at the MUSL headquarters at Iowa (at Wes Des Moines). These held every Saturday and Wednesday. Hot lotto drawings were usually held following the Powerball drawing at 10:00pm (central time). Also, hot lotto drawings were not televised unlike what Powerball and Mega millions did. Since no video was projected or saved of this activity, the drawings made use of RNG (random number generator) instead of the usual machines used for ball drawing. 2008 saw the addition of an amazing option which offered thrice non-jackpot prizes. This was known and named SIZZLER. Meanwhile with this addition, the basic $1 per game was not changed until 2013, whereby the jackpot that was advertised had a significant change from the value of annuity (i.e. equal annual payments of 25) to paid taxes and cash. This annuity option was later on eliminated, owing to the fact that most winners preferred cash to the long-term pay that was proposed alongside cash. Early 2017 came a shocking news via an announcement that hot lotto was to be discontinued due to constant fall in their sales. Hot lotto held it final lotto draw on 28th October 2017. Though its termination, it was to be substituted by a new lotto America version. This is meant to be launched on 12th November 2017. Its first draws where to be held a few days after the inauguration. The minimum required pay was $1 or $2 for those interested in the sizzler option. Now, this customer ha to choose 5 numbers within the range of 1 to 47. Then he/she adds another number within the range of 1 to 19 for the ‘hot ball’ separate pool. Again instead of the ‘hot ball’, the player is given an option for what is commonly known by other lotto games as ‘easy pick’, these are terminal selected numbers. With the selected white numbers (5) at hand, all hot ball or the six numbers could have duplicated one of the 5 white numbers. Sizzler was an option introduced by the Hot Lotto shortly after they began operations. Sizzler was common in North Dakota as they had the triple sizzler. The Sizzler option gives a player the chance to win more than the normal amount of their prize. With the Triple Sizzler for example, it is possible for a player to win three times the normal prize amount. However, this feature applies only to non-jackpot prizes. For example, a prize of $30,000 becomes $90,000 with the Sizzler feature. This option was introduced in January 2008. However, some areas like the District of Columbia and Idaho only offered the feature some time later. Some states like Idaho didn’t offer the feature immediately because of the legal action that was in process against the Sizzler Steakhouse Chain. The USA Hot Lotto has nine different prize categories in addition to the Sizzler option. As with other lotteries, the jackpot is won by matching all 5 main numbers plus the bonus ball known as the Hot Ball. As has been mentioned above, the Sizzler feature does not apply to the jackpot. The second prize is won when a player successfully matches all five of the main balls with the exception of the Hot Ball. The prize amount for this tier is $30,000 which can rise to $90,000 with the Sizzler option in effect. Prizes also exist for those players who are able to match any number of balls within 1 and 4 with or without the Hot Ball. Of course, the prize amount increases as the number of balls matched increases. buying tickets for Hot Lotto can be done at your local shop or at some online lottery games websites such as Lottosend. The prizes of this game where being determined by a modified system called pari-mutuel. However, there were some special situations whereby just the jackpot was shared between multiple winners. Any jackpot that was won either before or on the 11th of May 2013 was eligible to winning either 25 equal annual payments or cash. Such winners had a retention of 25% withheld due to federal tax. There were also some undisclosed withholdings in many cases. The jackpot had a minimum of one million dollars. The rollovers gave a total of at least fifty thousand dollars per draw. A customer who wins the jackpot receives his/her prize cash though all the payment might not be done at once. Meanwhile they do not fail in withholding what they called ‘pre-withholding’ that has to be declared because of undisclosed deductions and income tax. Winners have a time limit of between 90 days to a year to claim their prize dependent of the location the hot lotto ticket was acquired. This was for jackpot winners and otherwise. The last Hot Lotto draw did not have a jackpot winner. This caused the 13 members increase the initial jackpot amount of the lottery game to $15 million. Eddie Raymond Tipton who was director of information security of MUSL, was on the 20th of July 2015 found guilty of two counts of fraud. He rigged the Hot Lotto draw of December 2010 and he attempted using an anonymous identification to collect the prize and was indicted on two counts. The prosecutors believed he used his privilege as the director to access the secured information room at hot lotto meant for computer servicing and installed the program (rootkit) that rigged the sixteen million five hundred thousand draws of 29th December 2010. He had purchased the ticket bearing the rigged figures from a store at Des Moines.